A plea of not guilty has been entered for a Mountain Home man who was allegedly thrown out of a local restaurant after a fight and was later involved in an argument with his father over money. He was then reported to have gone to a home along Turnberry Court and pushed a vehicle parked at the residence through a closed garage door.Johnny Nichols, the Harrison attorney representing 47-year-old Kirk Hubbard McClain, filed his entry of appearance for the Mountain Home man Monday. 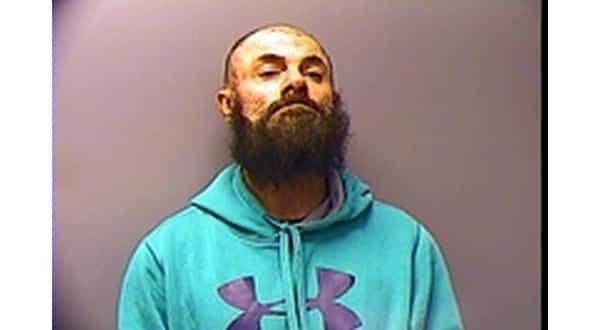 McClain was due to appear in Baxter County Circuit Court Thursday, but Nichols filed paperwork indicating his client would waive formal arraignment in his case and enter a not guilty plea to the charges against him.McClain is charged with leaving the scene of an accident involving property damage, a felony, and criminal mischief, a misdemeanor. Most of the events resulting in the charges occurred on Nov. 18th and early on the morning of Nov. 19th. Nov. 18th -- 7:00 p.m.
McClain was reported to have attacked a man at a local restaurant, and the male struck McClain in the mouth. McClain allegedly attacked the man again a few minutes later and restaurant staff restrained him and removed the Mountain Home man from the building. According to the probable cause affidavit, McClain was reported to have been slightly under the influence of alcohol or a controlled substance at the time. Nov. 18th -- 7:26 p.m.
Mountain Home Police officers responded to the residence of McClain's father to investigate a domestic argument. McClain was alleged to have been "yelling and cursing" at his relative over money. Police reported attempting to de-escalate the situation, but were cursed at and instructed to leave the residence by Kirk McClain. The officers responding to the incident also reported McClain appeared to be under the influence of an unknown substance. McClain was reported to have been wearing the same clothing he had on during the incident at the restaurant earlier in the evening. Nov. 19th -- 3:30 a.m.
A truck allegedly driven by McClain arrived at a residence along Turnberry Court. The driver used the truck to push a 2017 Jeep through closed garage doors. The truck was reported to have also struck the brick exterior of the residence causing additional damage. Total damage to the vehicle and residence was estimated between $10,000 and $20,000. According to the probable cause affidavit, McClain's truck is described as unique, being equipped with a lift kit, large wheels and a custom front bumper. A camera in front of the Turnberry Court residence recorded the incident. Nov. 19th -- 4:40 a.m.
McClain's truck was found approximately 200 yards from his residence. The engine was still warm, the truck's front bumper was damaged and there was concrete and/or mortar dust visible on the vehicle. Nov. 20th -- 7:48 p.m.
McClain was booked into the Baxter County jail. He posted a $10,000 bond and was released about a half-hour later.